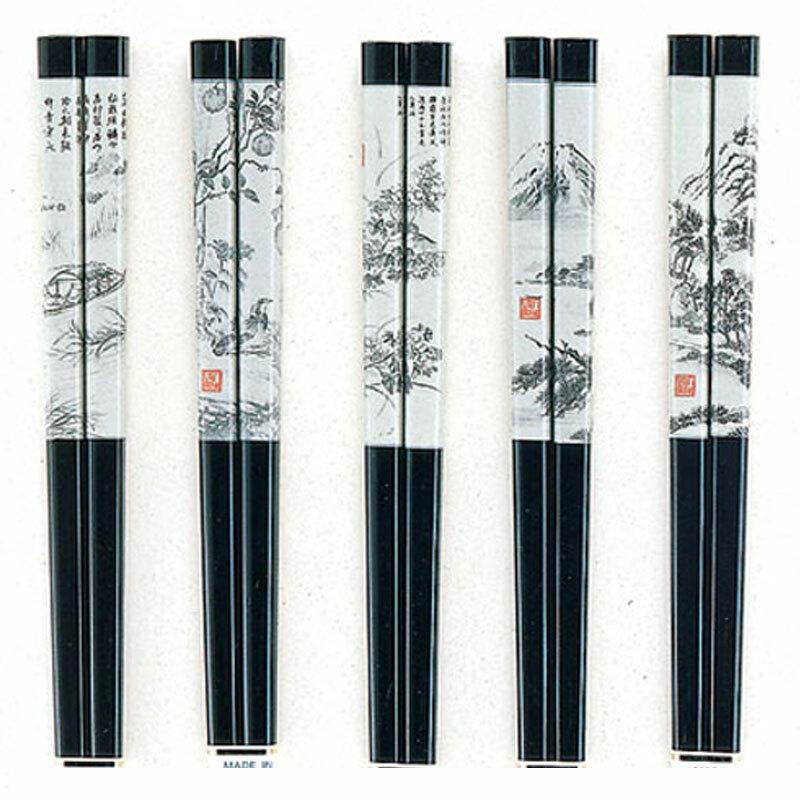 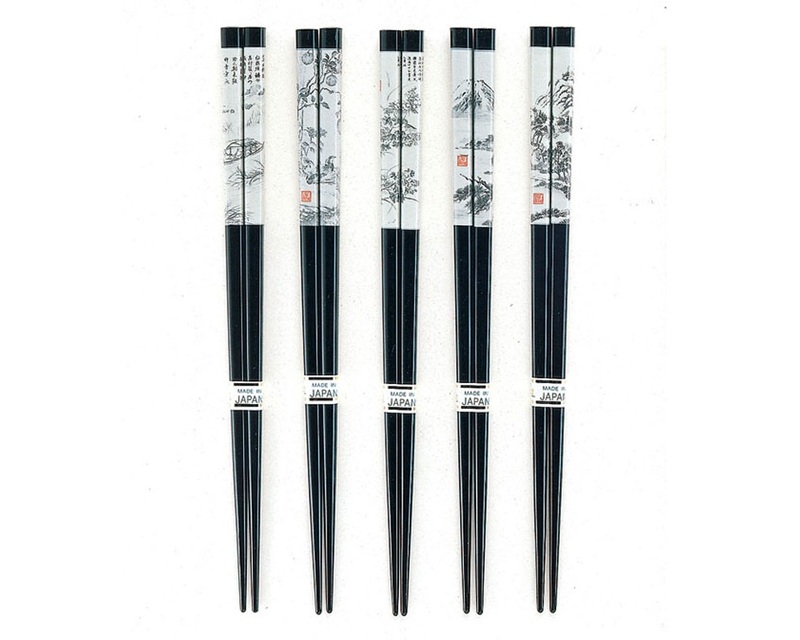 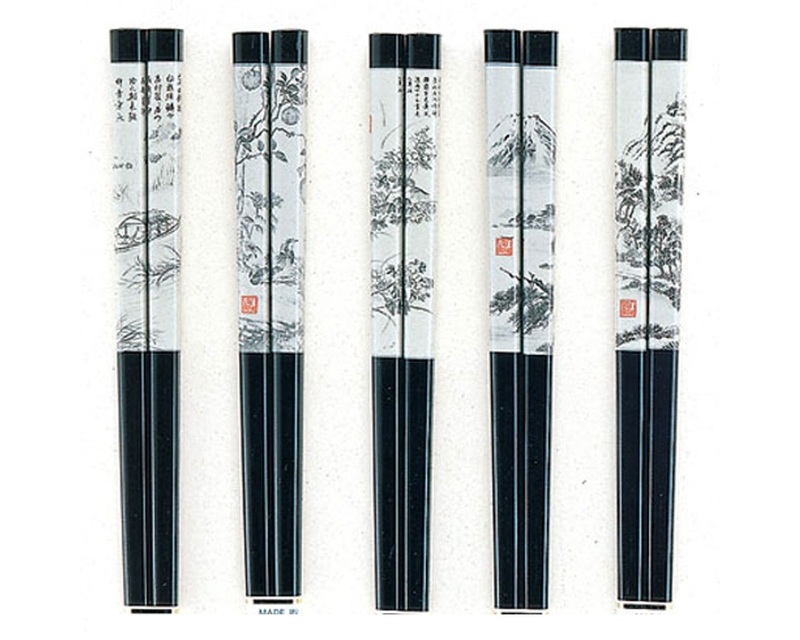 Beautiful black & white scroll art adorn these black lacquered chopsticks. 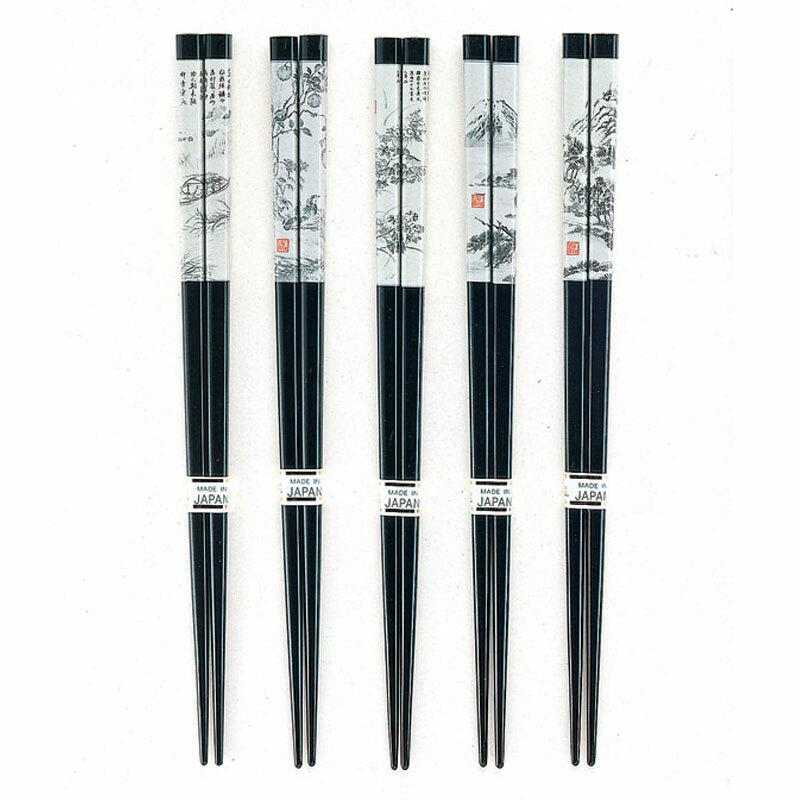 *Price is per chopstick. 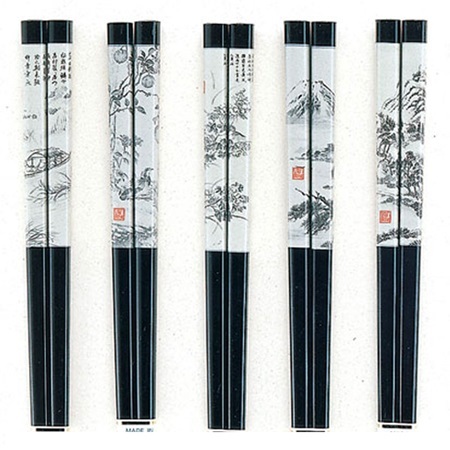 Specific designs from the assortment cannot be ordered.